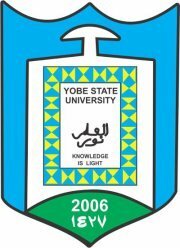 Yobe State University, #YSU central registration exercise schedule for the 2018/2019 academic session newly admitted and returning students. This is to inform all the fresh and returning students of the Yobe State University (YSU) that the management has released the central registration schedule for the 2018/2019 academic year. Yobe State University Central Registration Schedule. The Central Registration Exercise will commence on Monday 19th November and ends on 8th December, 2018 for all levels. The Registration Exercise which starts from 9:00am to 4:00pm from Mondays to Saturdays until the exercise ends on 8th December, 2018 is expected to be handled by the Non-academic staff. The Venue of the registration exercise is the University’s Convocation Square.